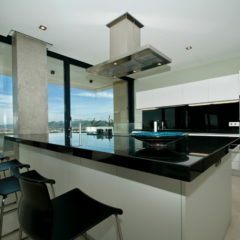 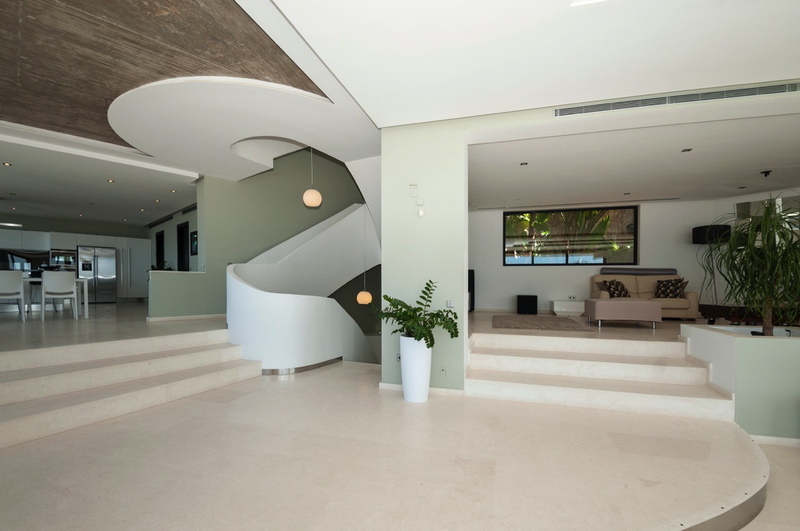 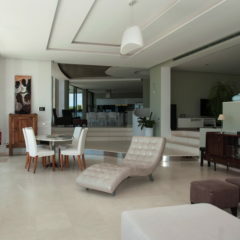 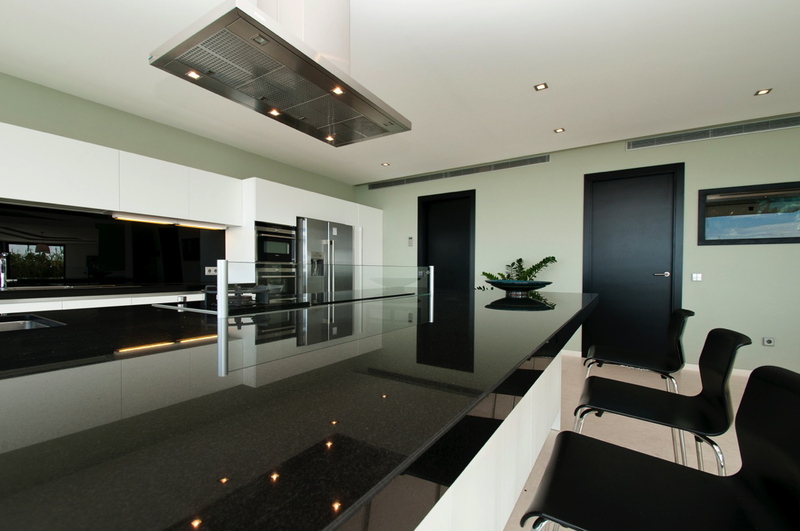 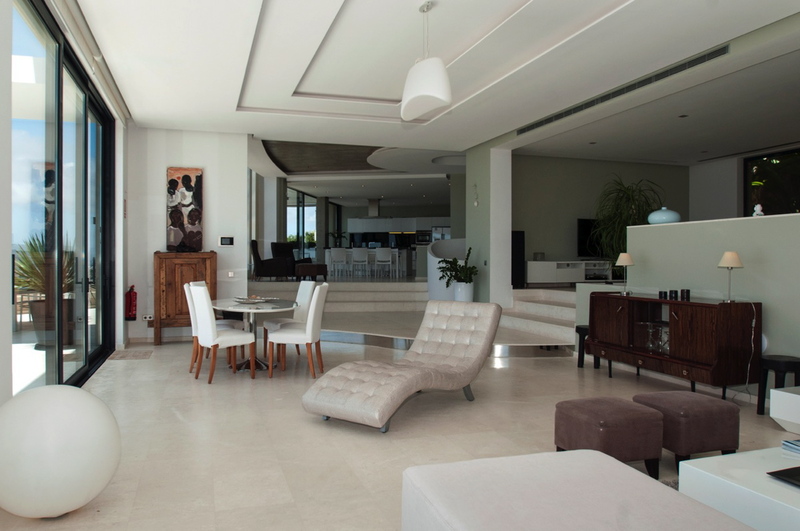 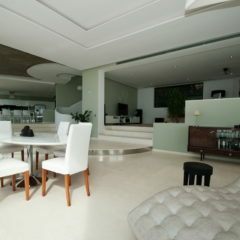 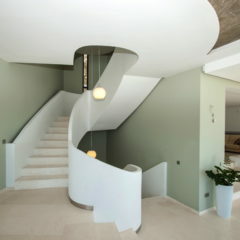 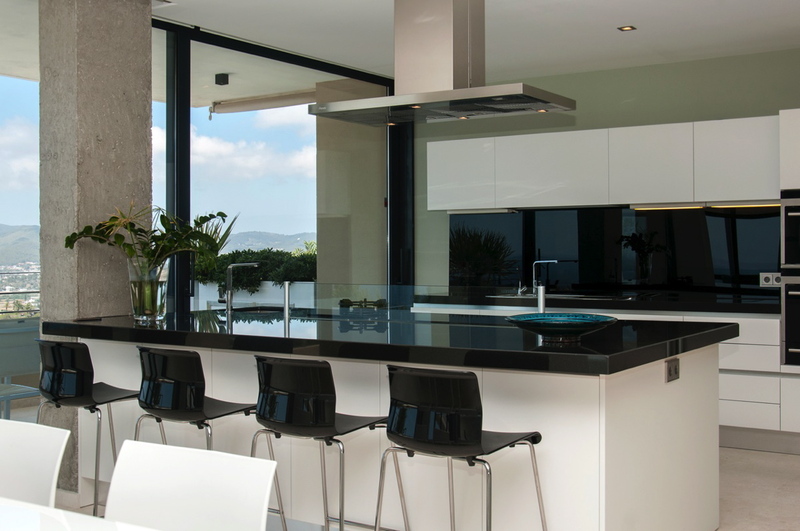 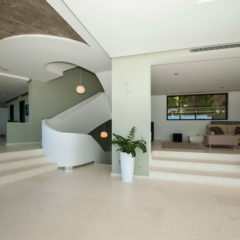 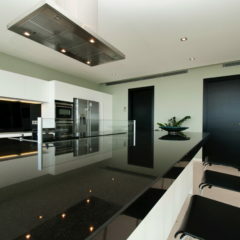 Villa Tribunal is a luxurious and fascinating property. 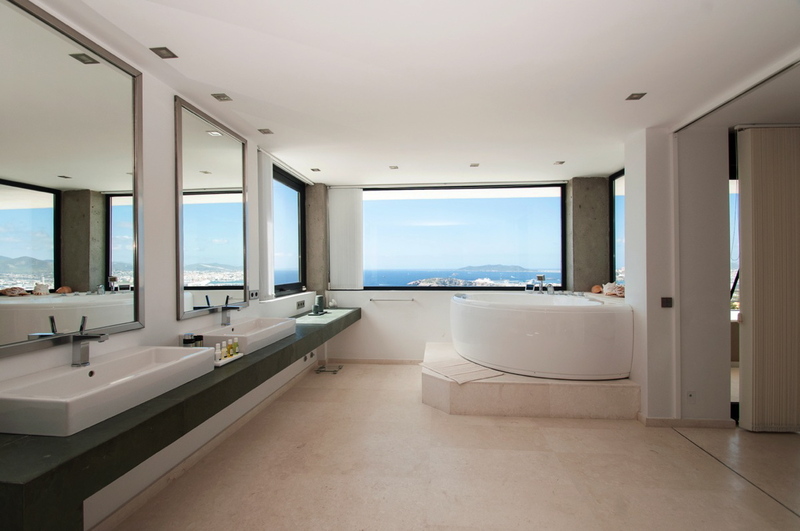 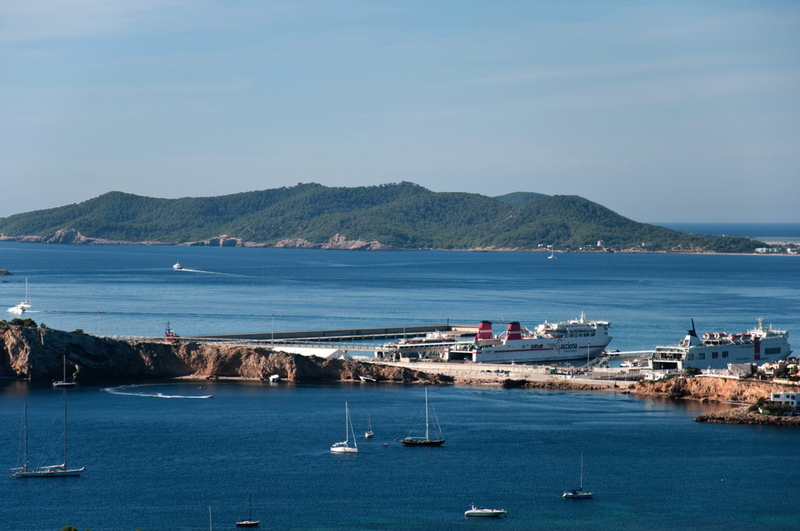 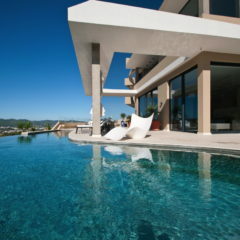 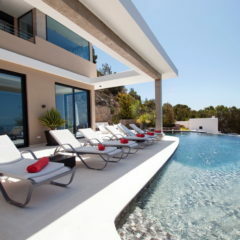 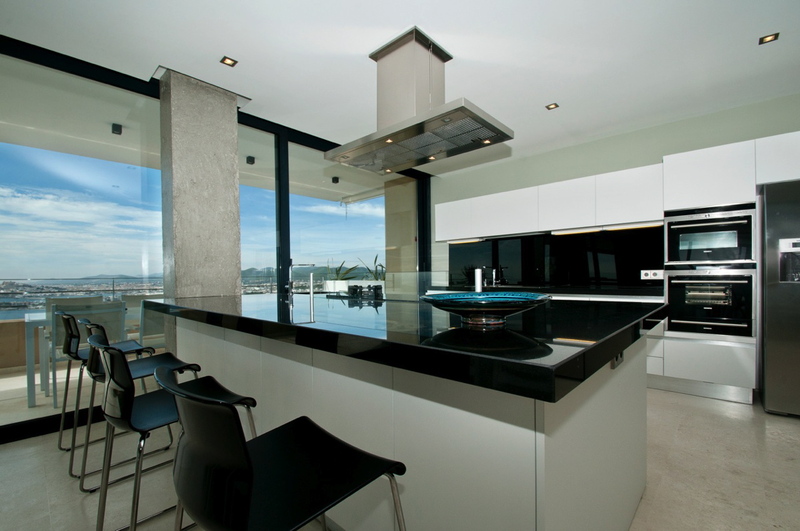 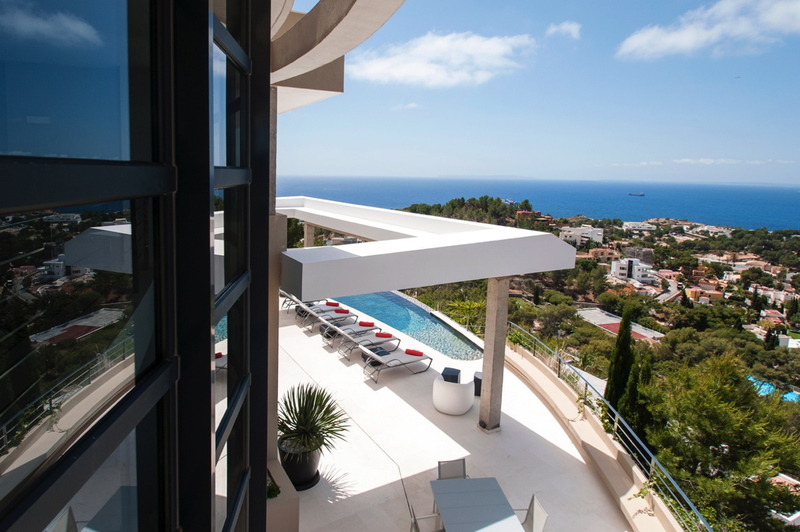 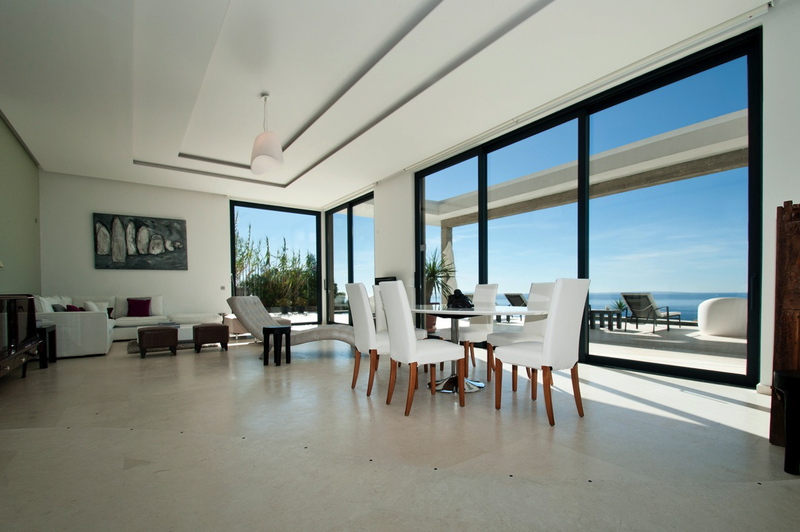 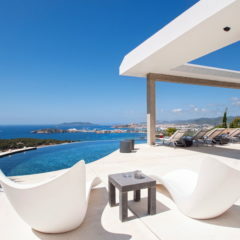 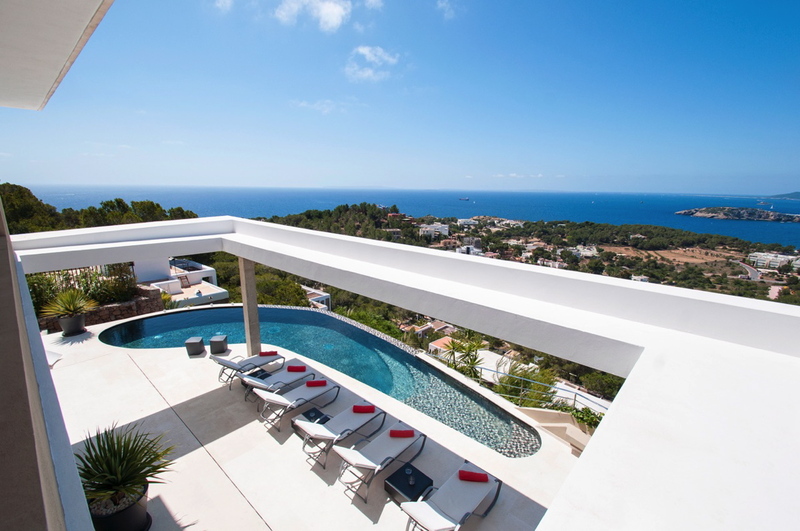 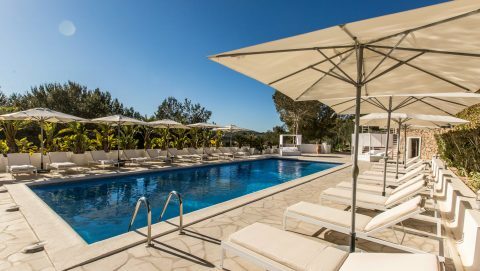 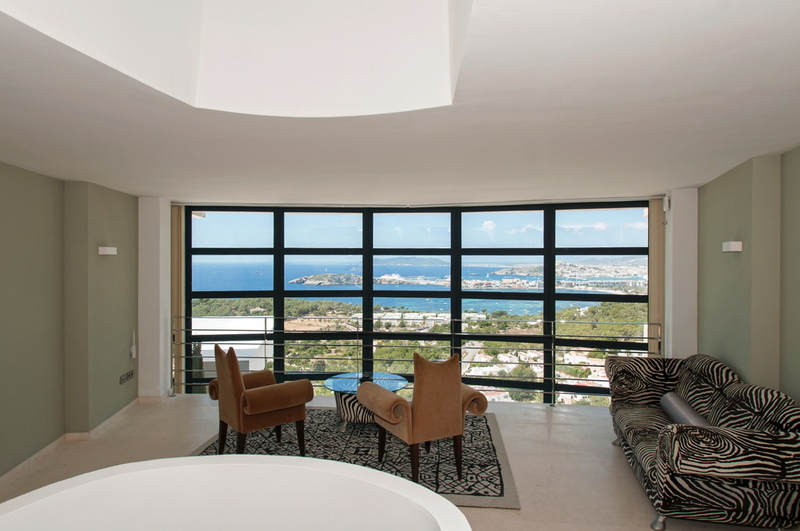 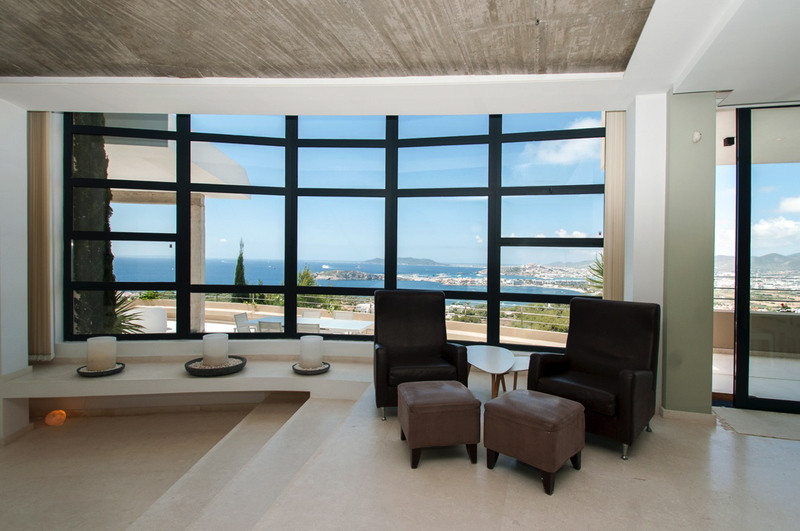 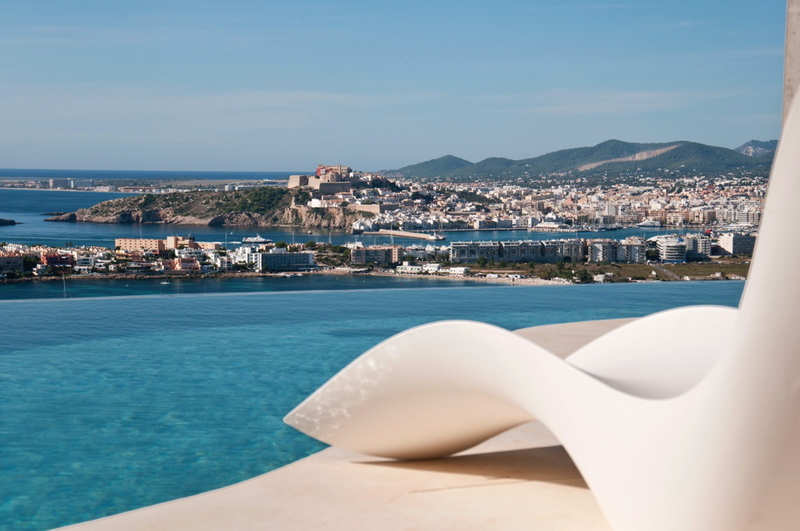 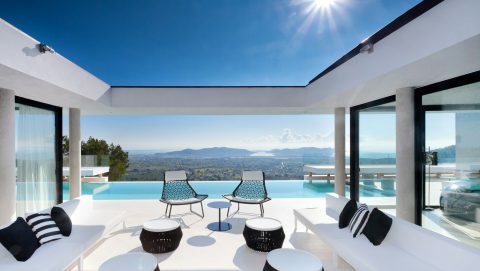 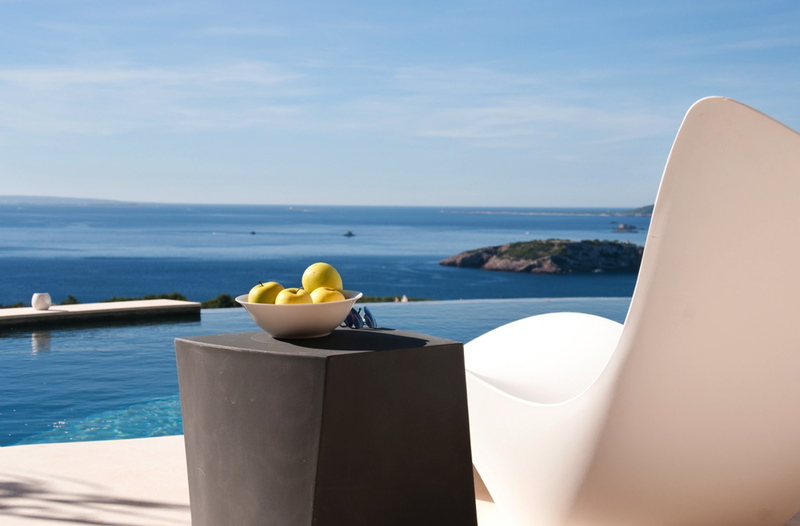 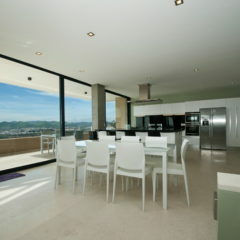 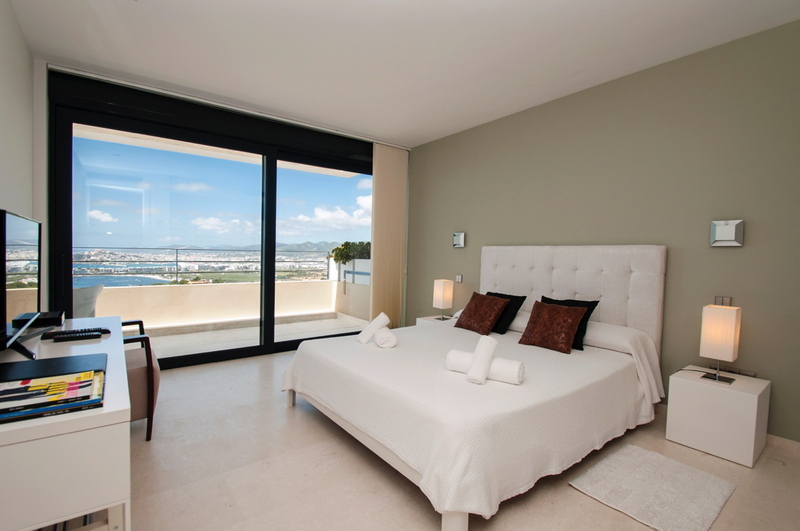 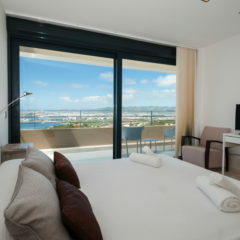 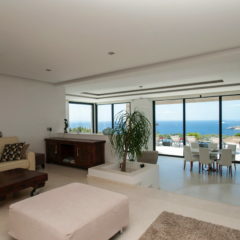 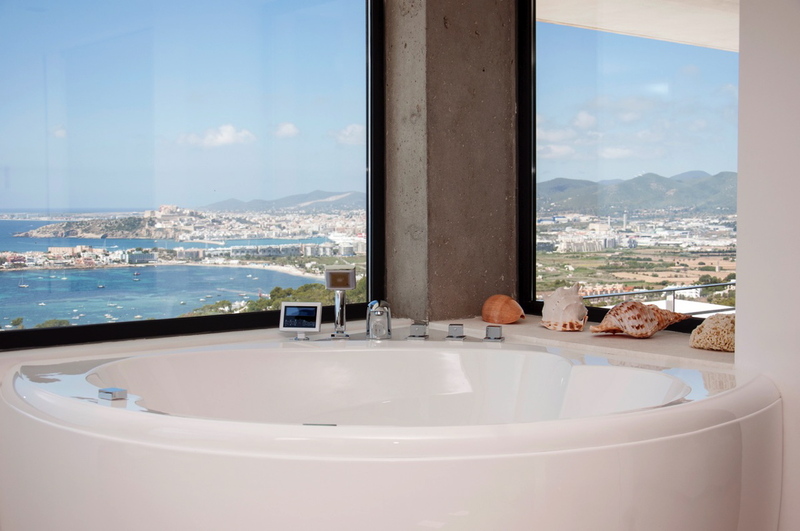 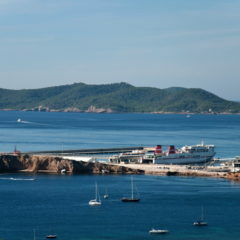 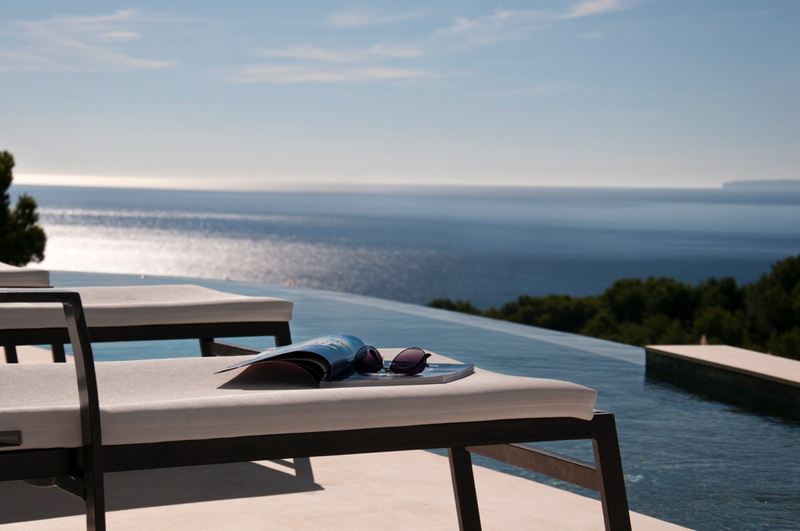 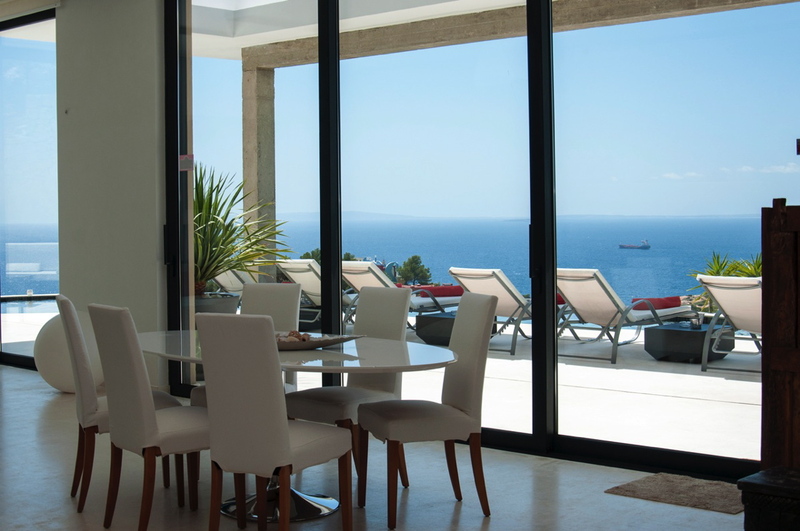 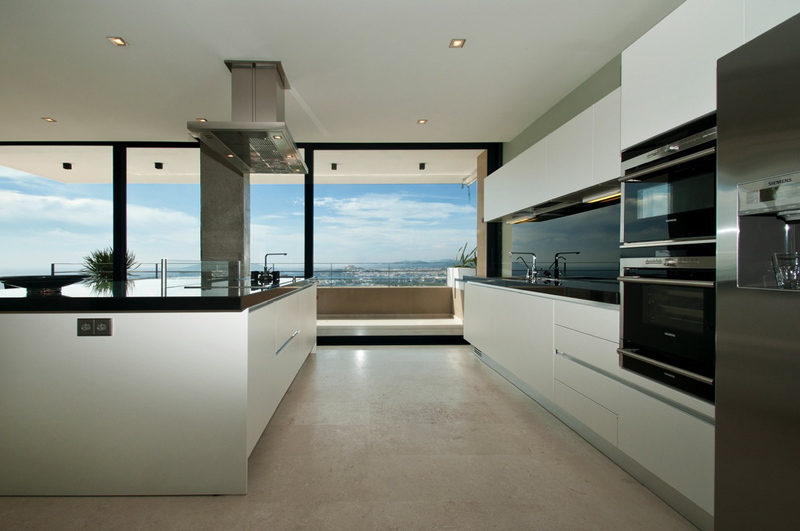 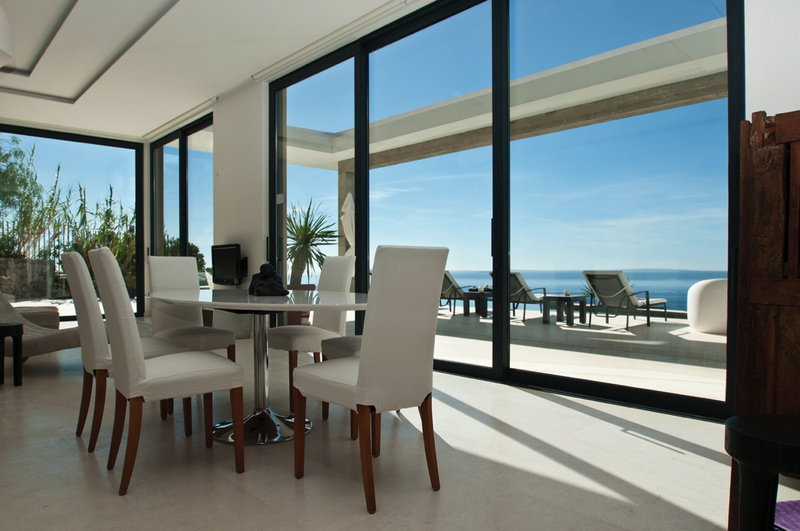 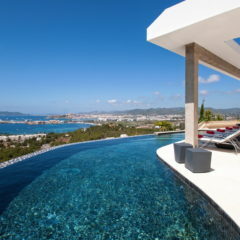 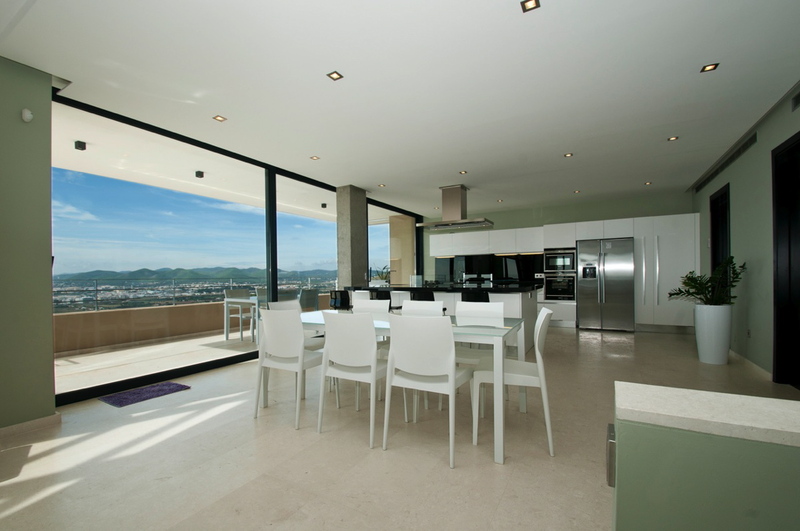 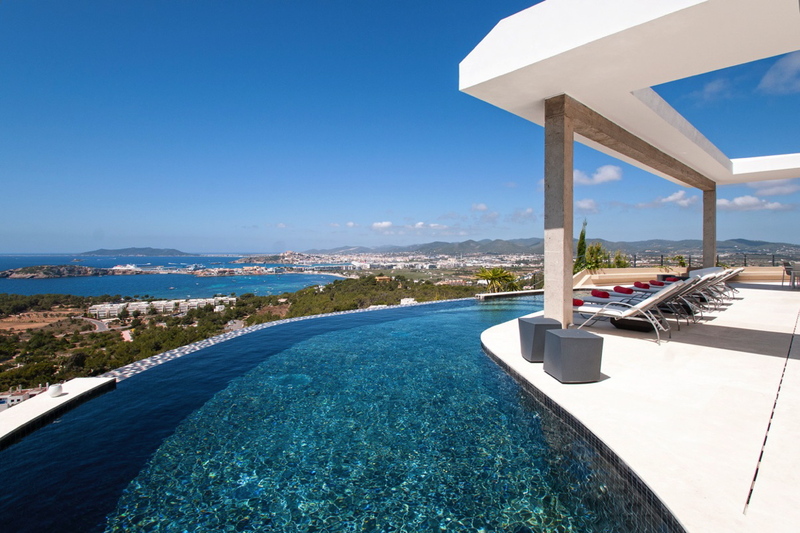 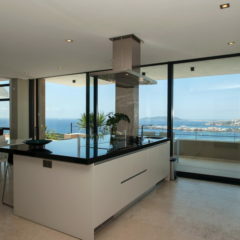 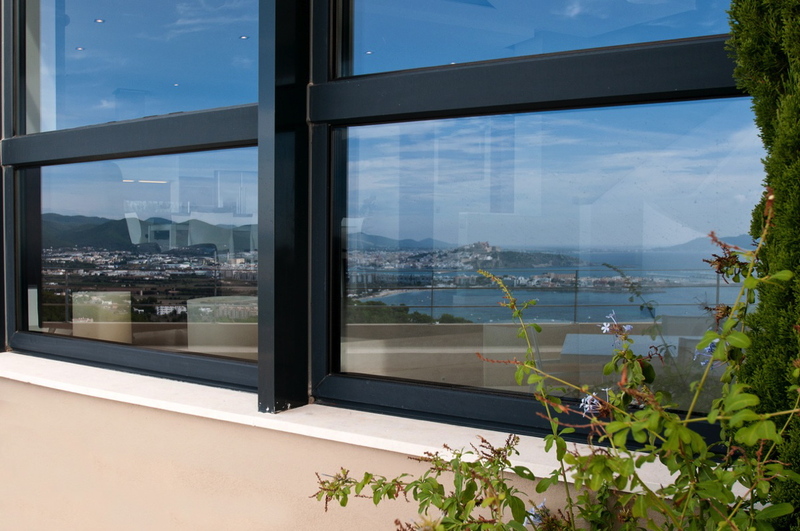 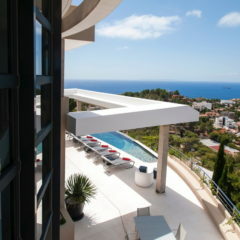 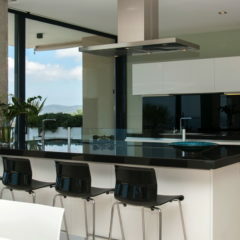 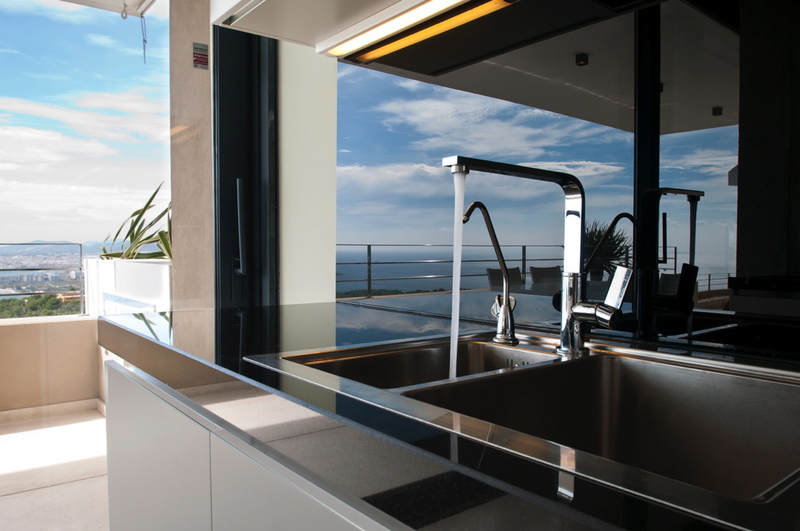 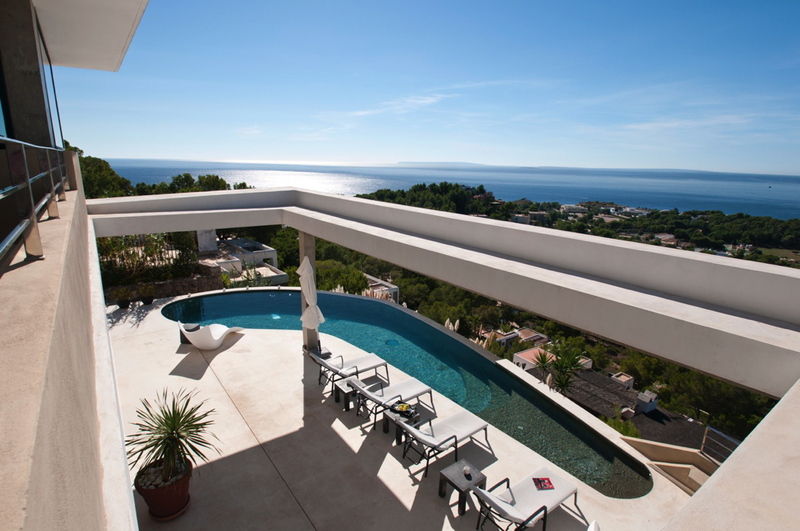 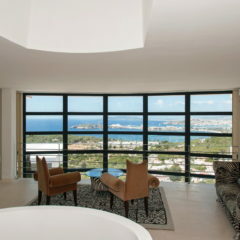 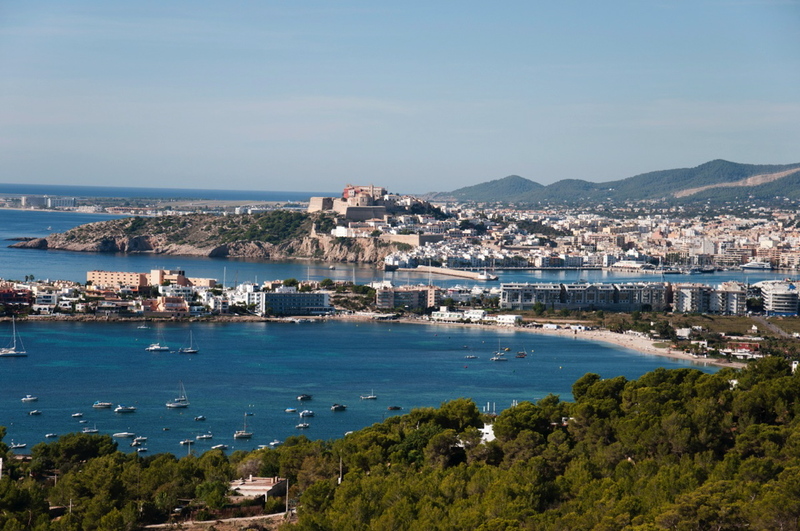 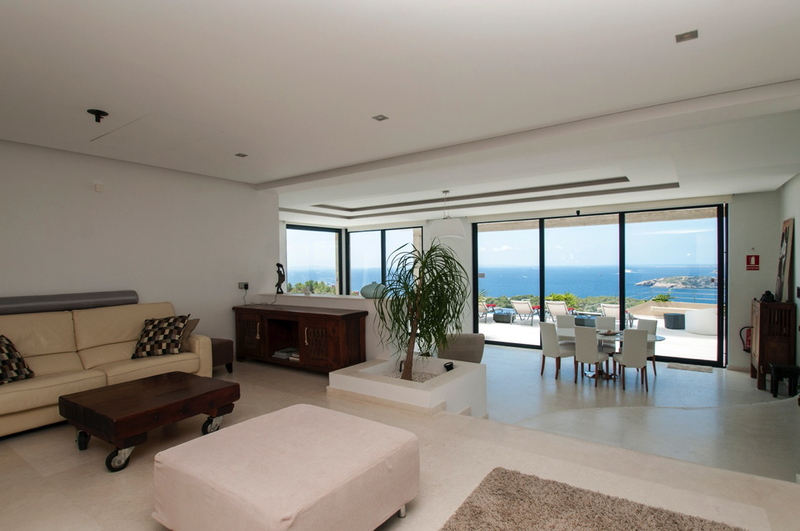 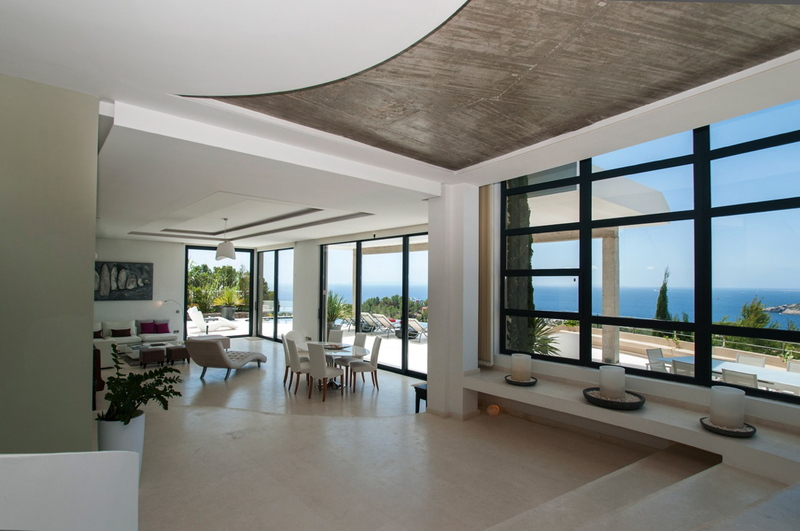 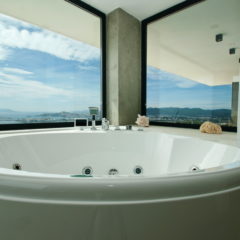 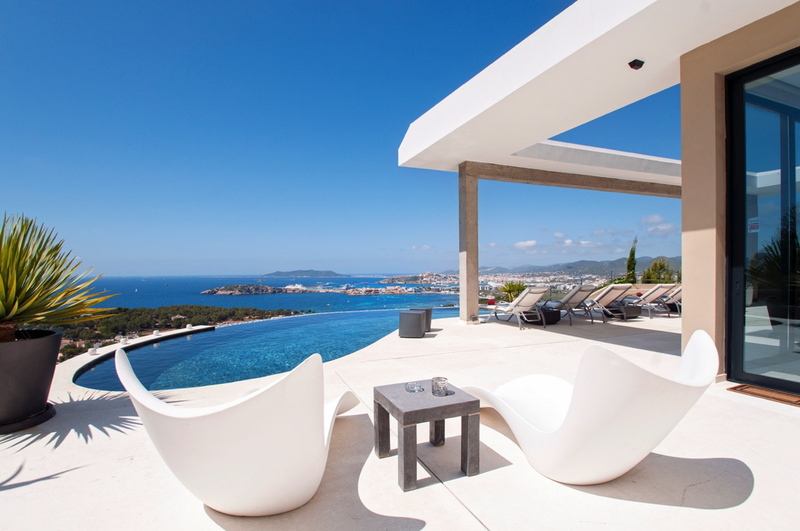 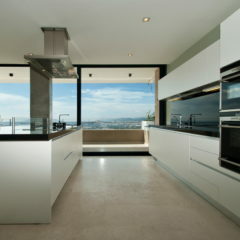 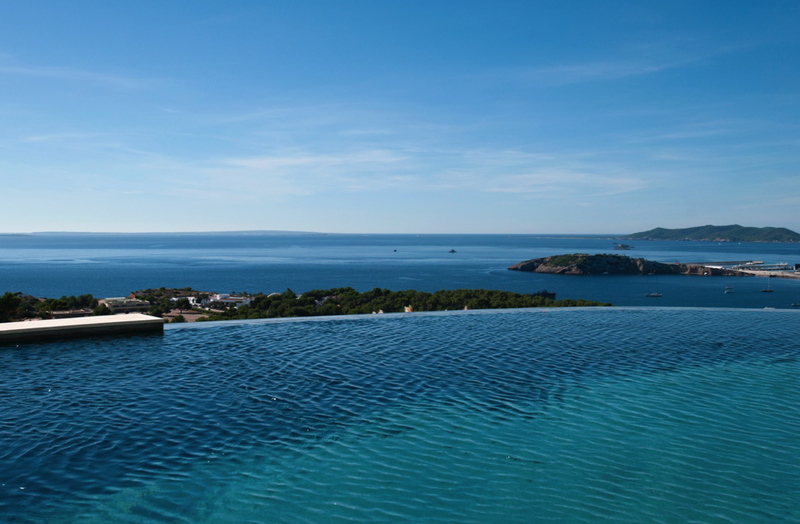 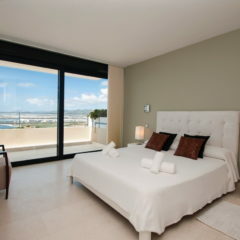 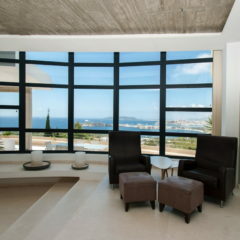 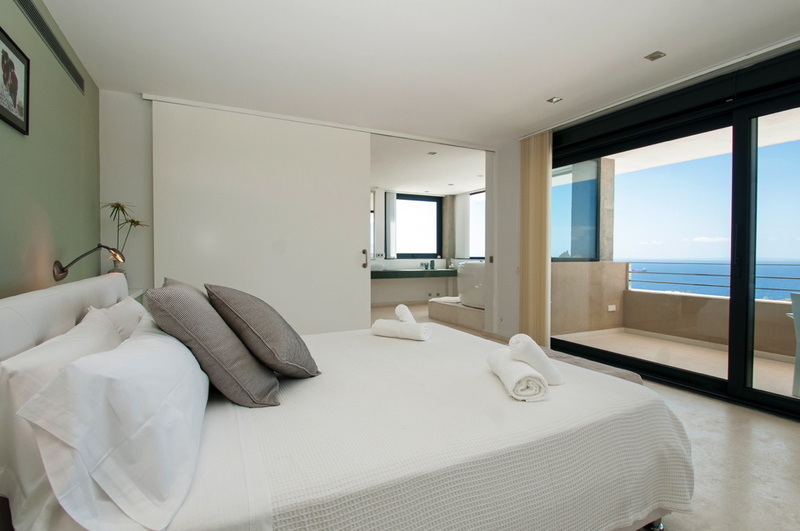 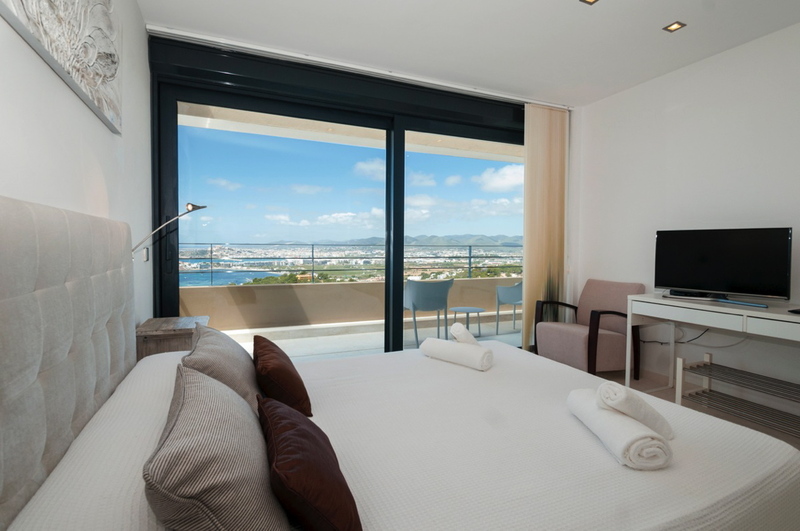 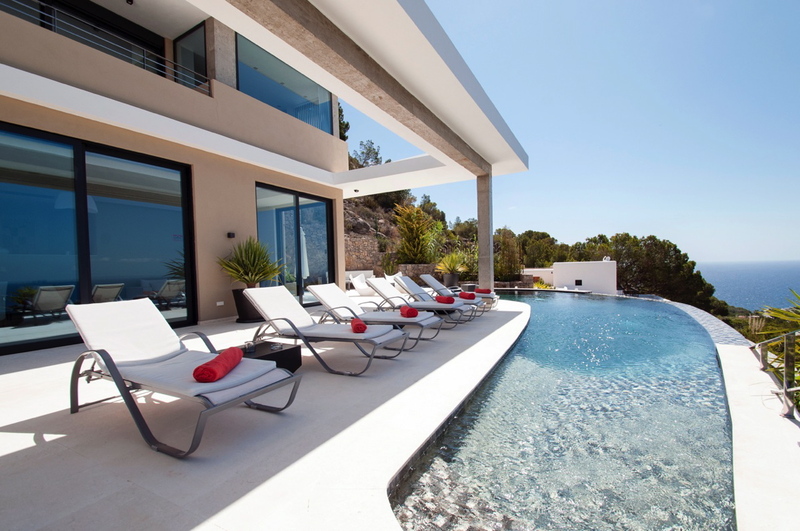 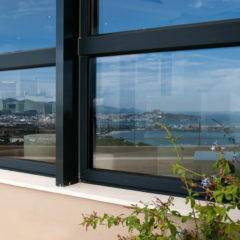 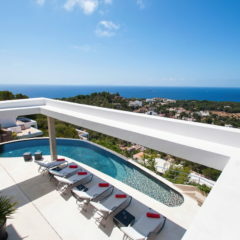 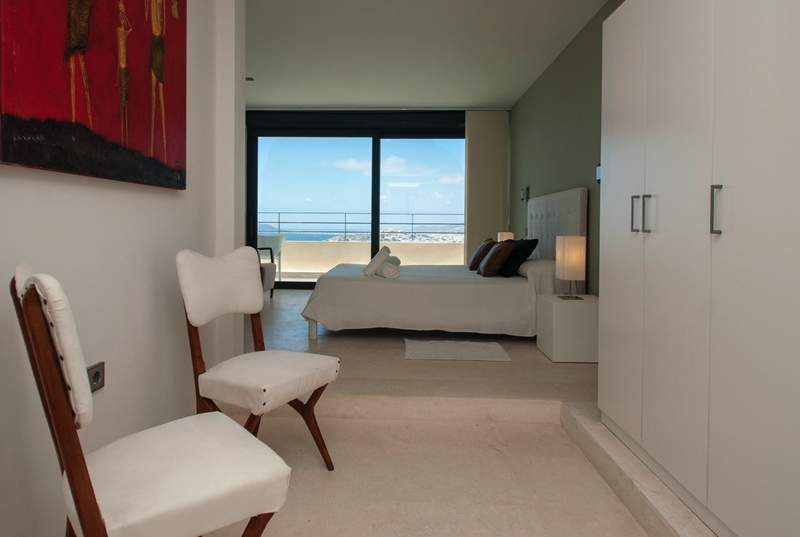 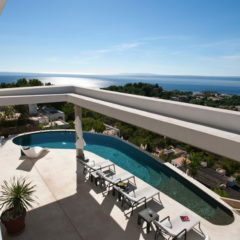 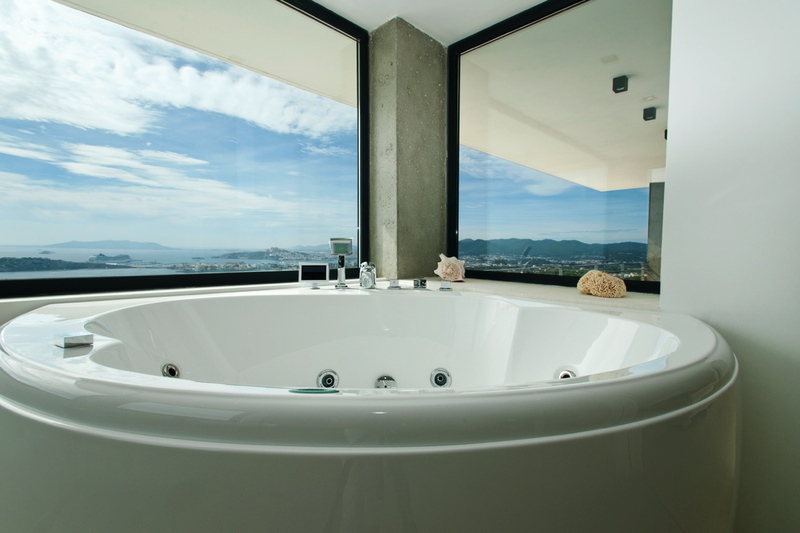 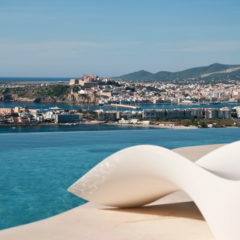 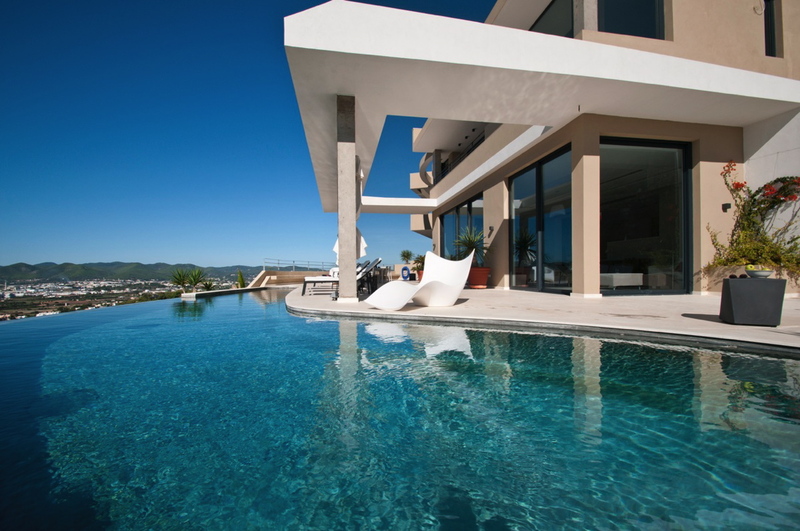 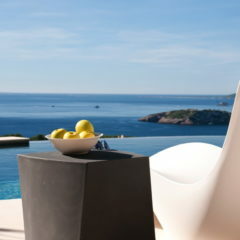 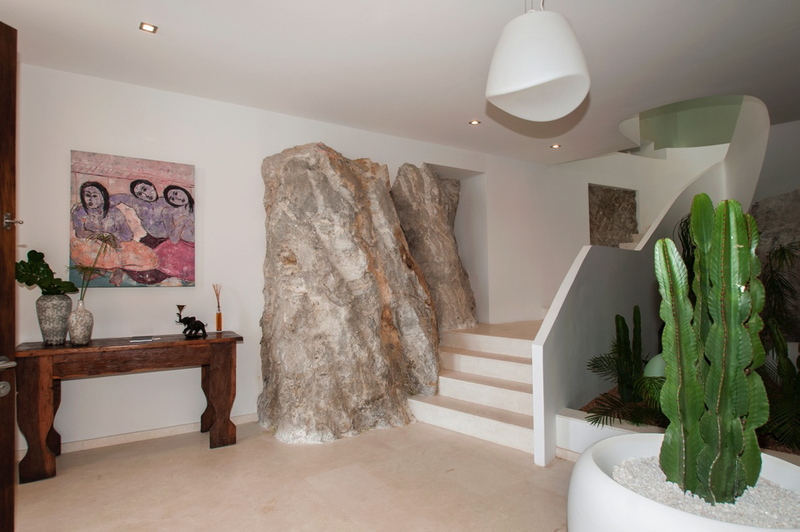 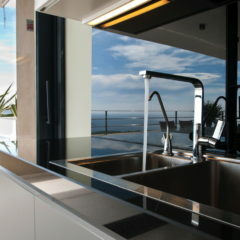 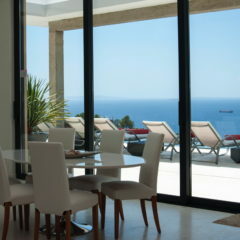 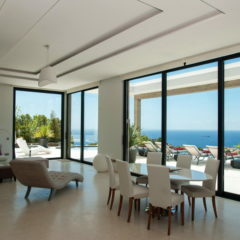 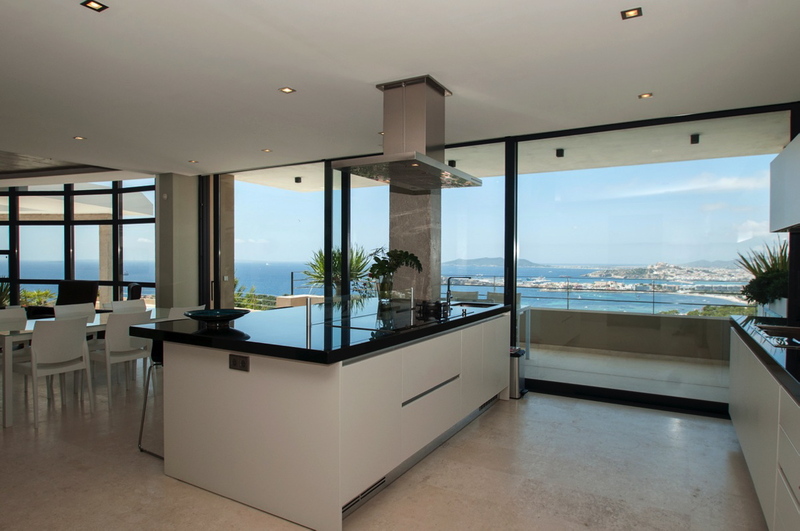 Located in the mountains of Jesus, it offers an ultimate view of Ibiza town, the harbor and the surrounding sea. 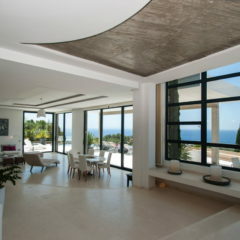 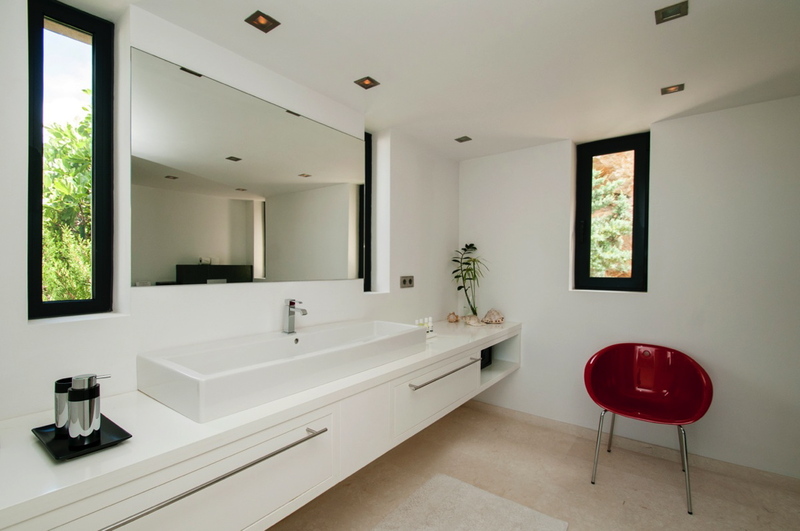 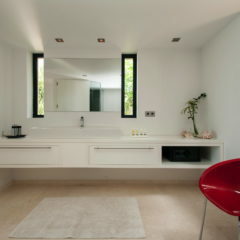 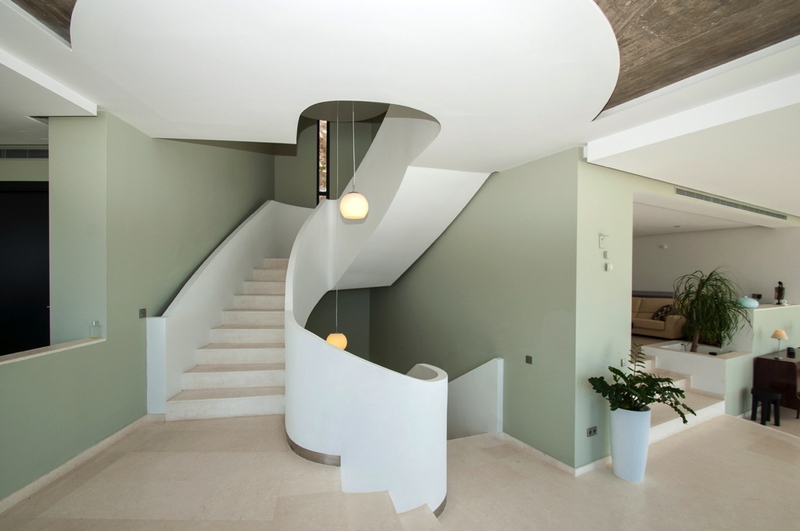 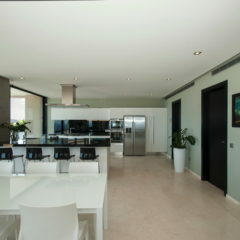 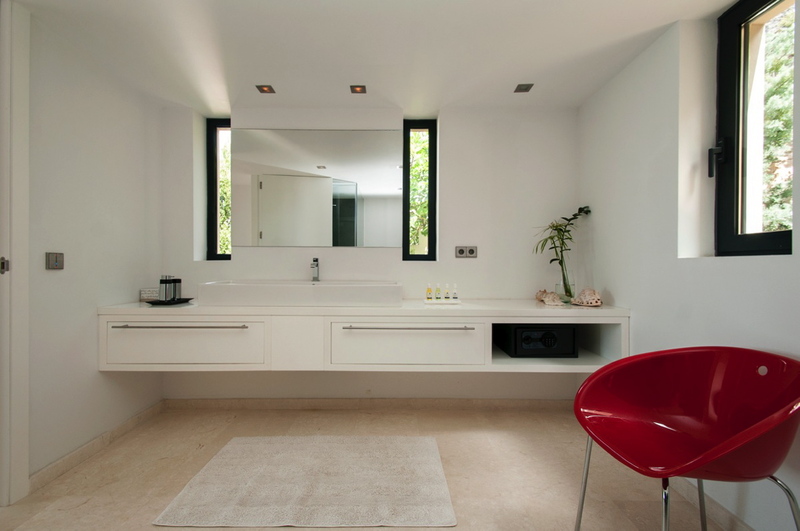 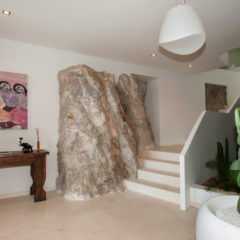 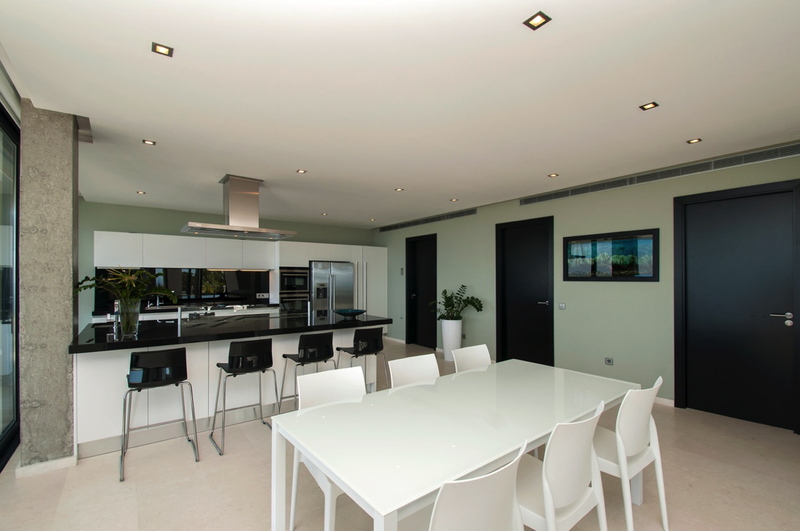 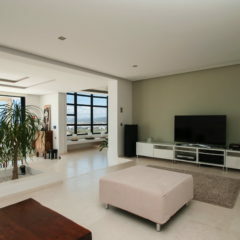 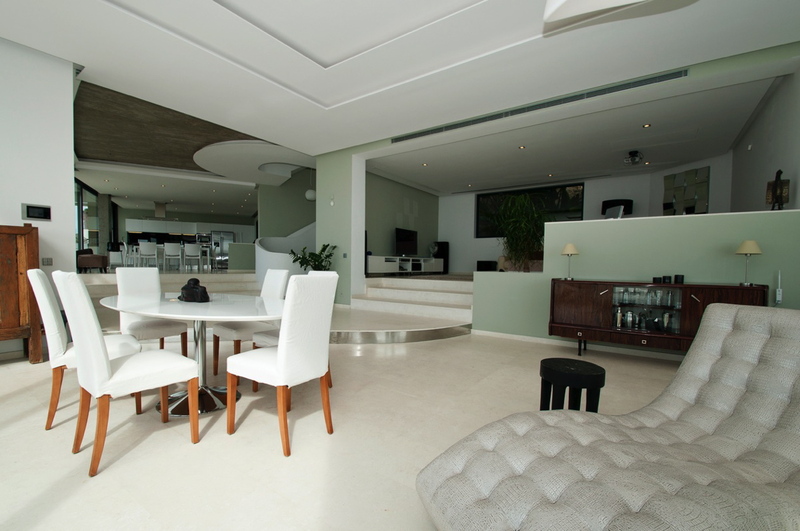 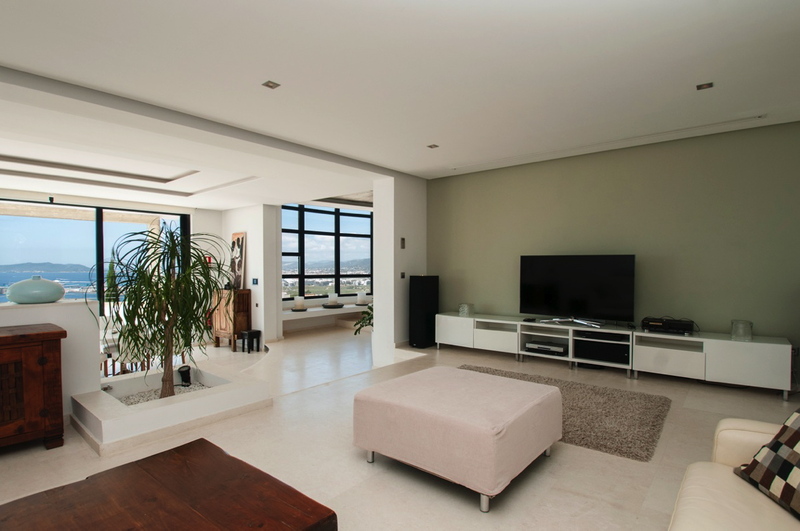 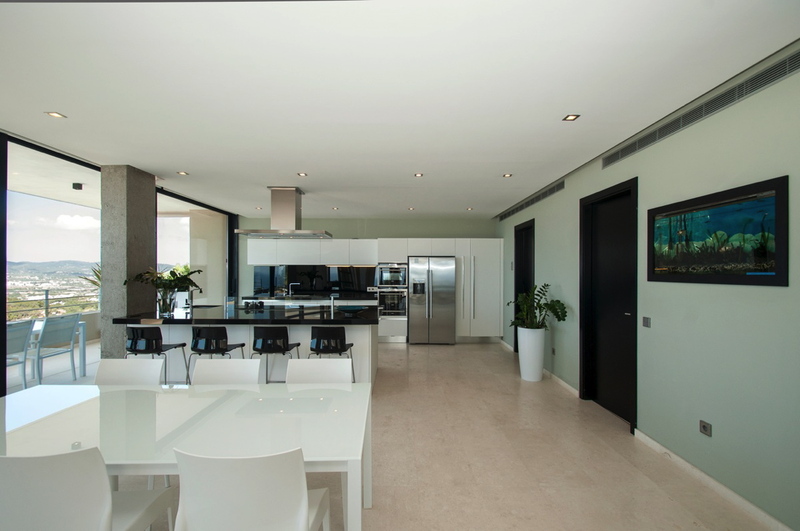 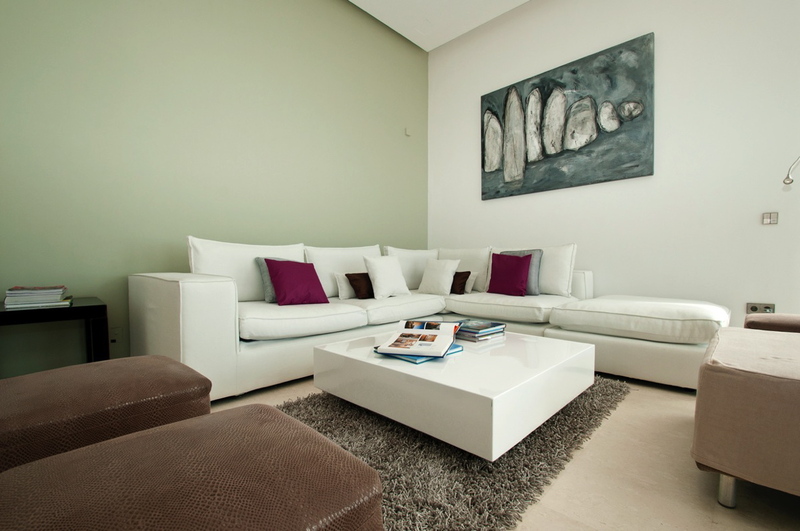 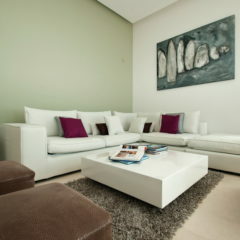 The property is located on a secure private ground and has large and bright rooms. 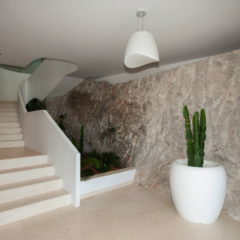 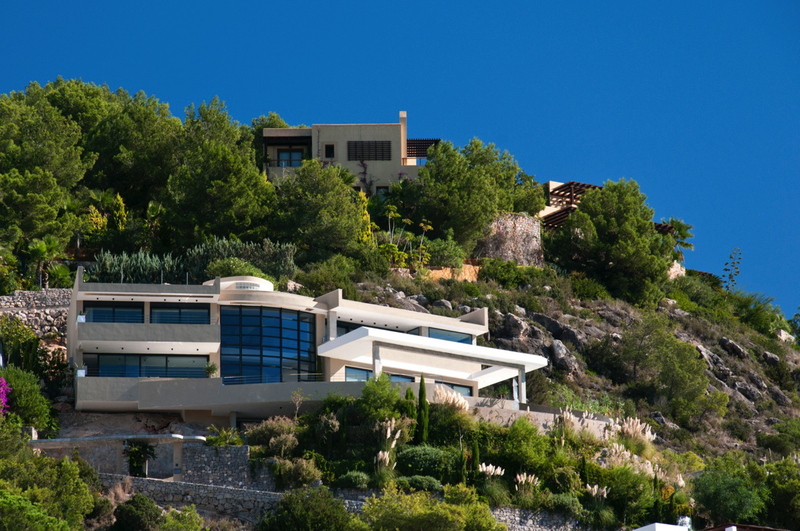 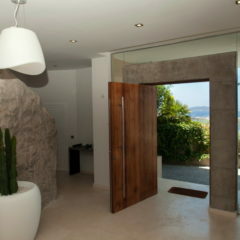 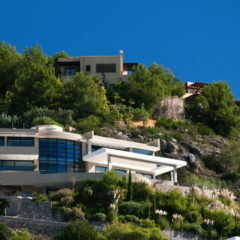 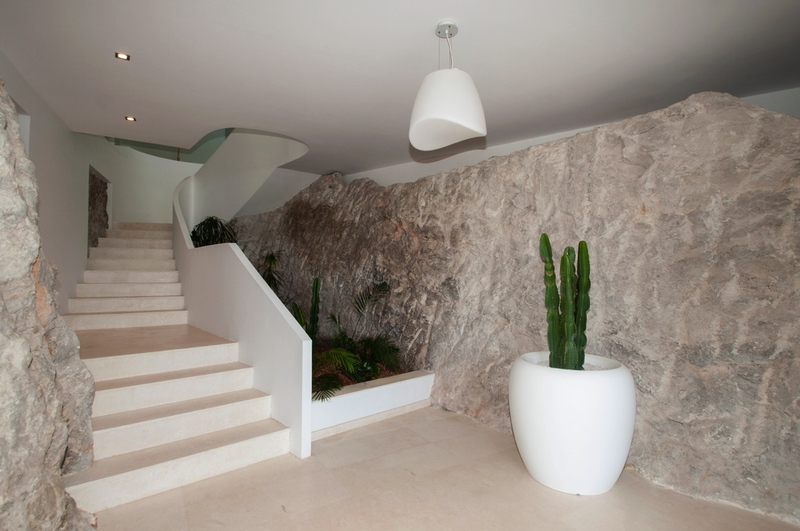 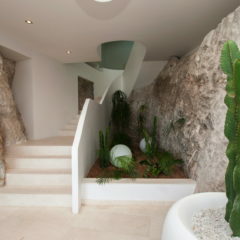 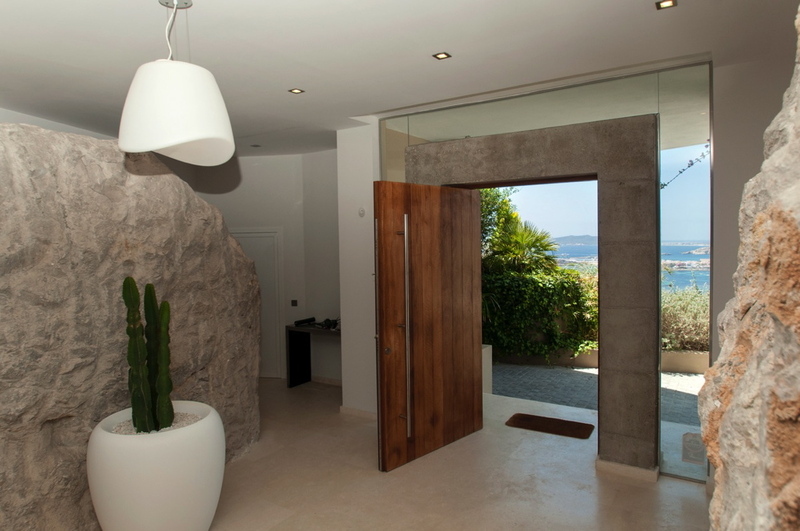 The villa is masterfully integrated into the mountain landscape. 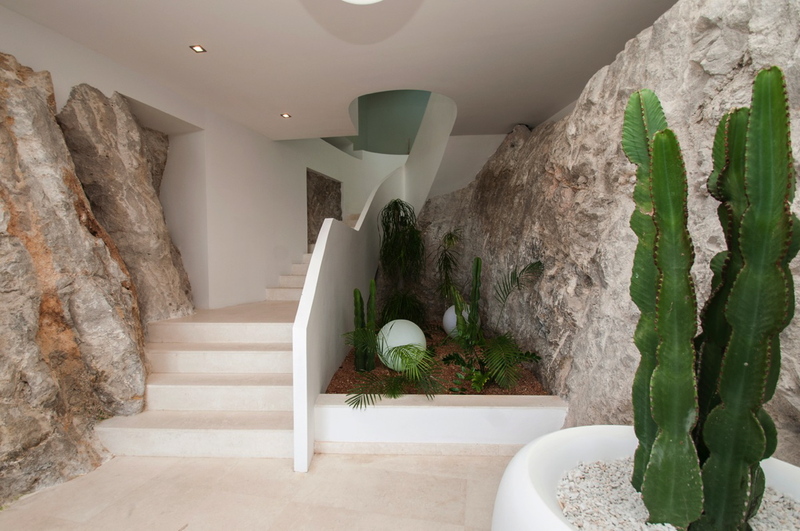 This place just let you feel thrilled. 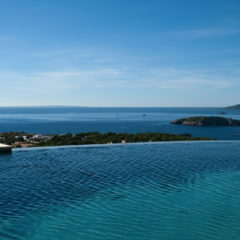 From almost everywhere in the house you can get a breathtaking view on the amazing infinity pool and the great designed pool area. 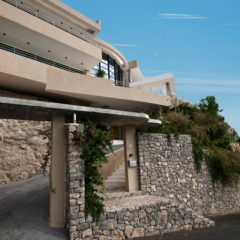 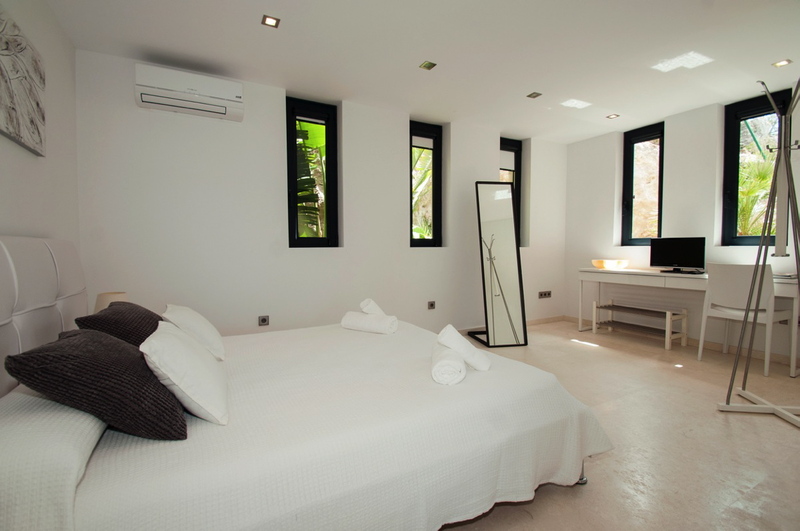 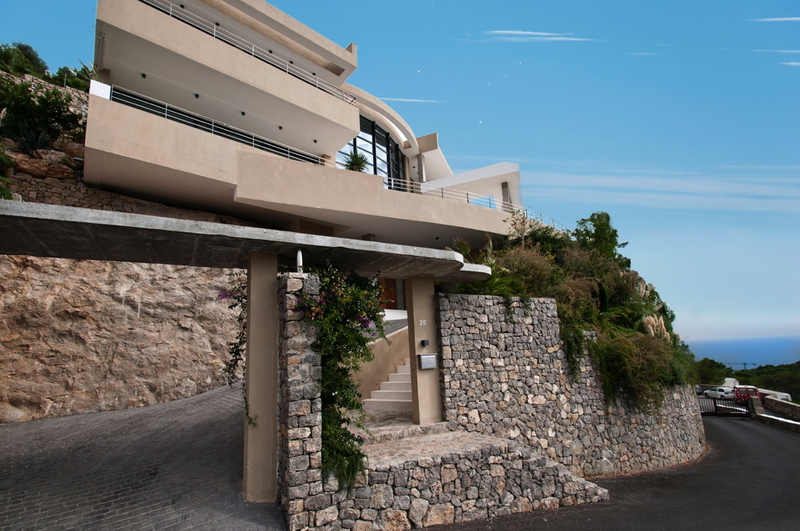 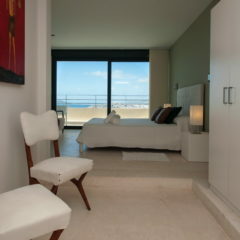 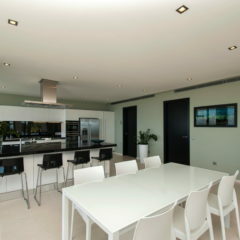 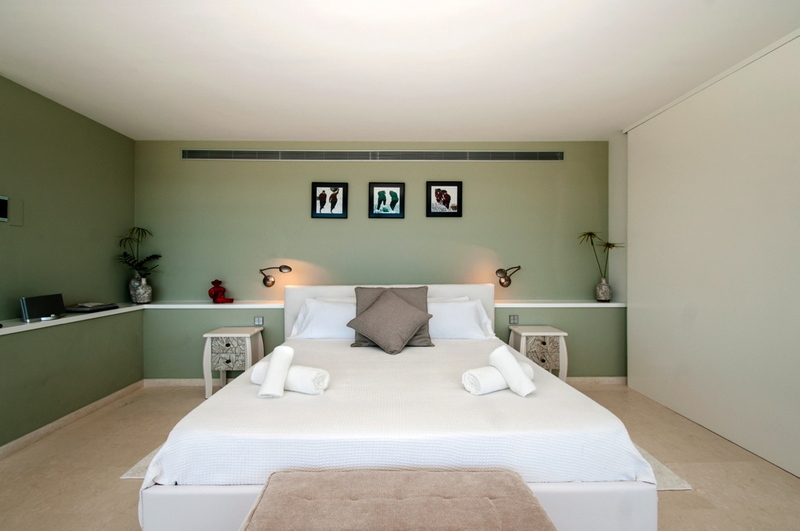 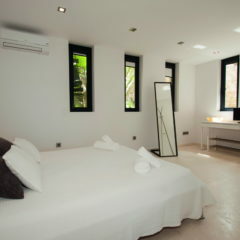 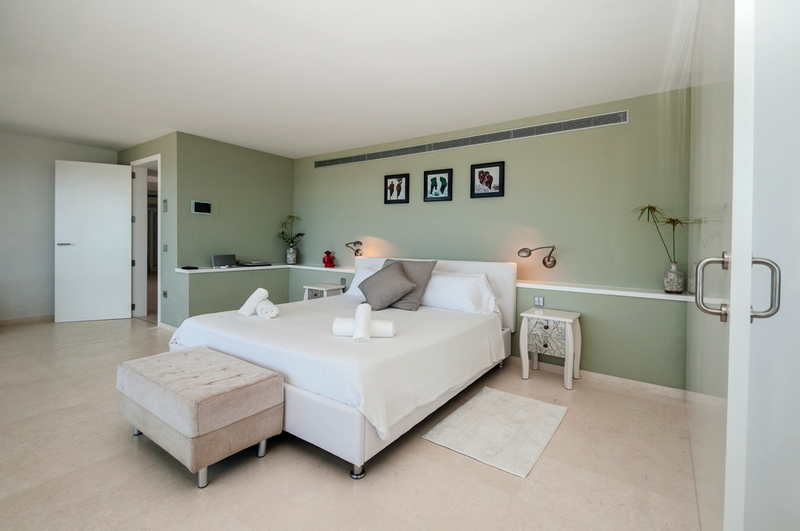 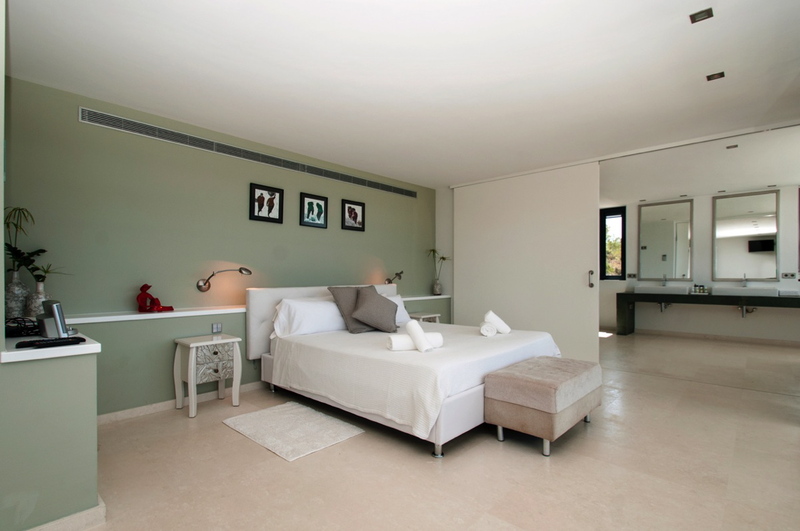 Don’t miss a stay in the stunning Villa Tribunal!